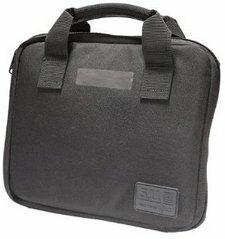 If you need a small versatile pistol case for you Glock, 1911, XDm, P226 or whatever then take a look at the 5.11 Pistol Rug. 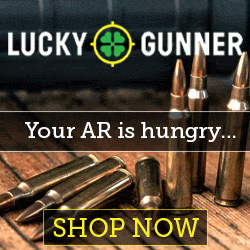 I have one for my Glock 21 and I really love it. 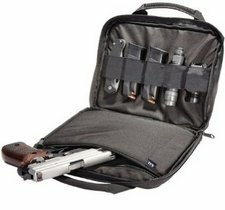 It’s a nice looking heavy duty soft pistol case with 5 elastic holders for items like extra magazines, flashlight, multi-tool or whatever. This rug or soft case is made from 1050D nylon and is super tough with a padded interior. The zippers are heavy duty also and are lockable. The gun slides into a pocket inside the case. It is fully protected from bumps and drops. It also protects the firearm from the elements like dust, dirt and rain. It’s handy to hold your weapon when you go to the range or camping, if you don’t want to carry it on your hip.